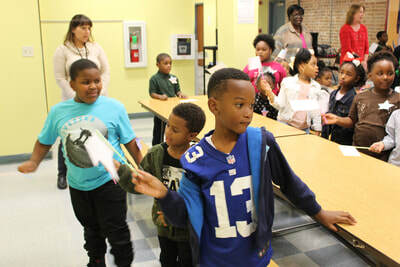 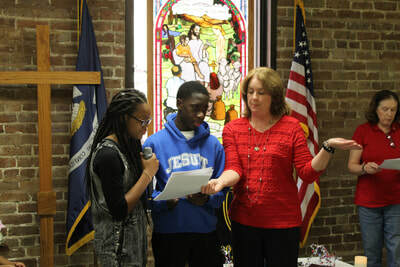 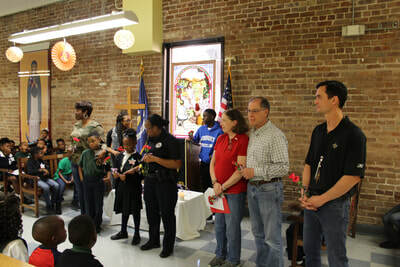 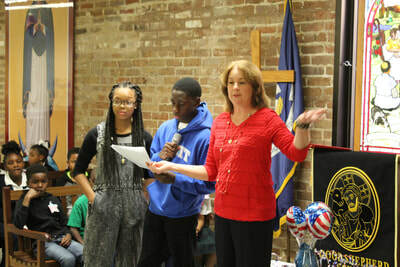 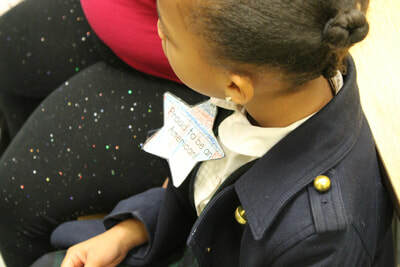 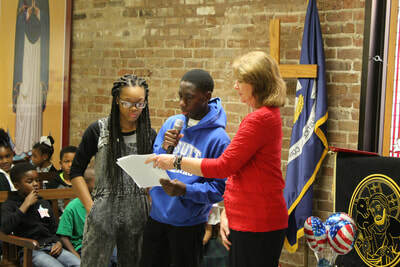 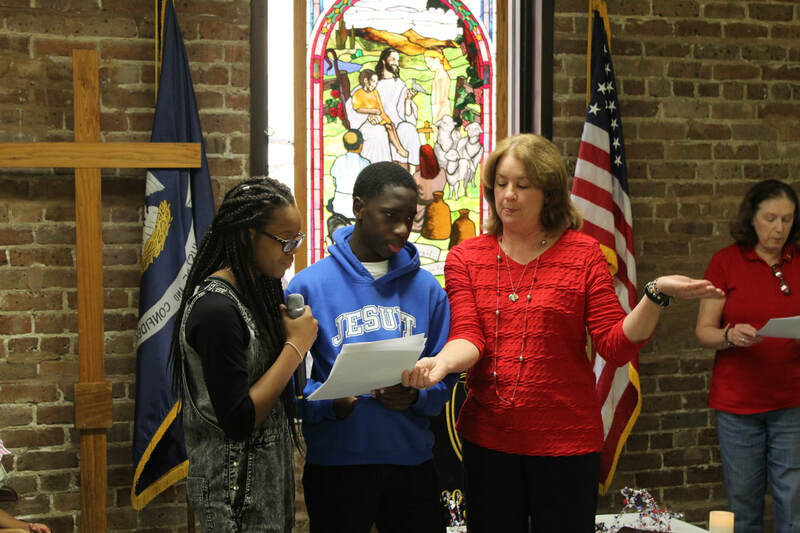 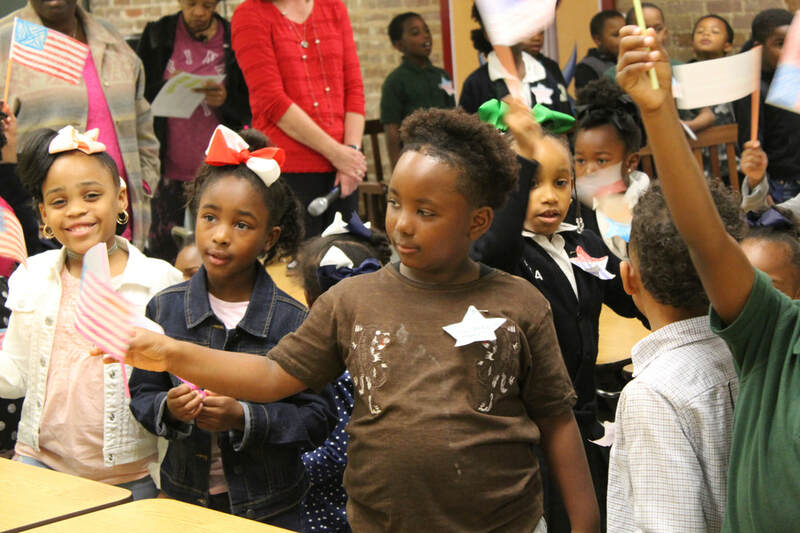 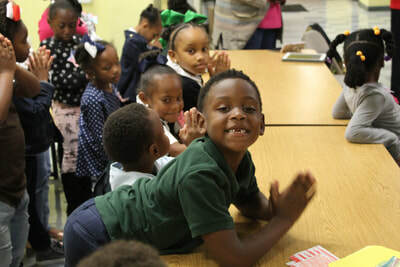 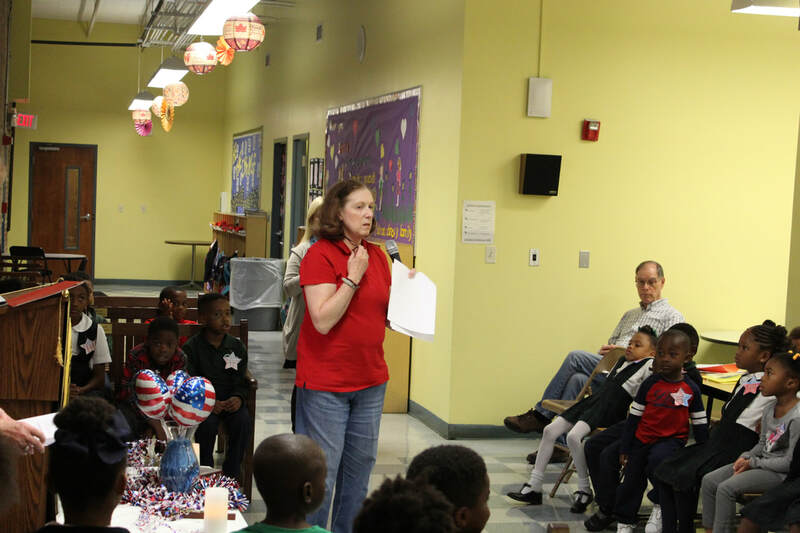 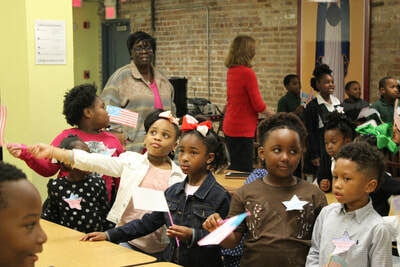 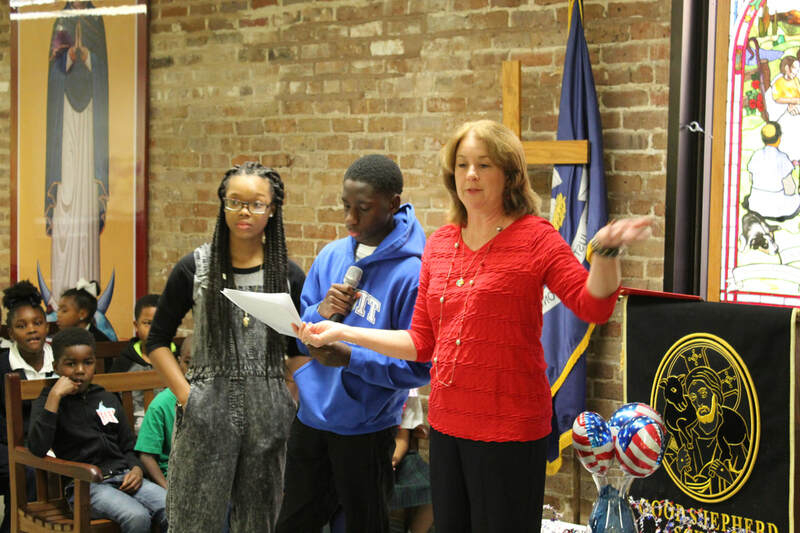 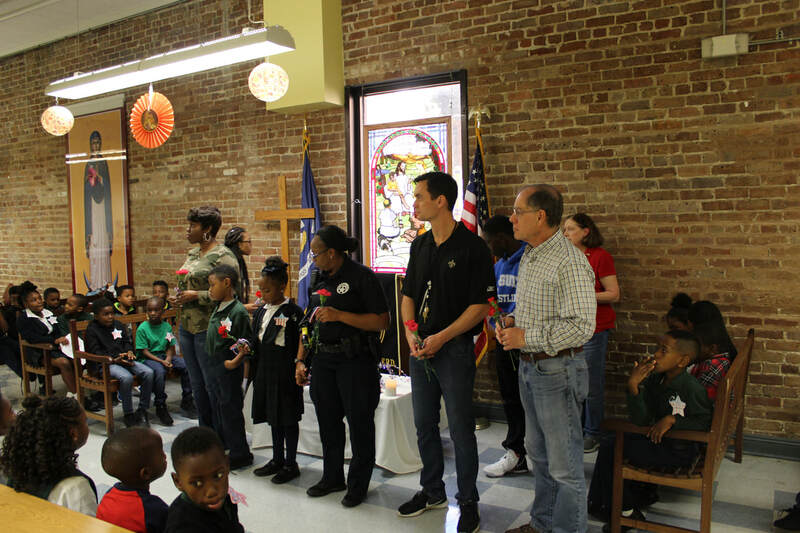 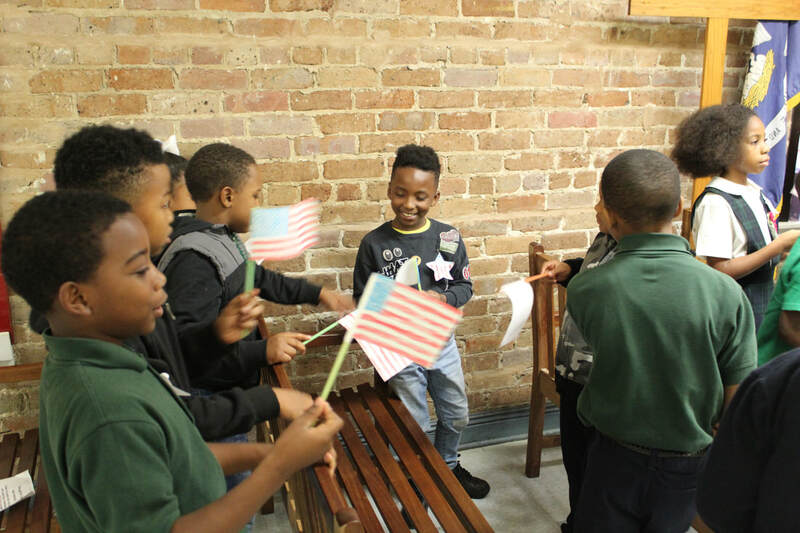 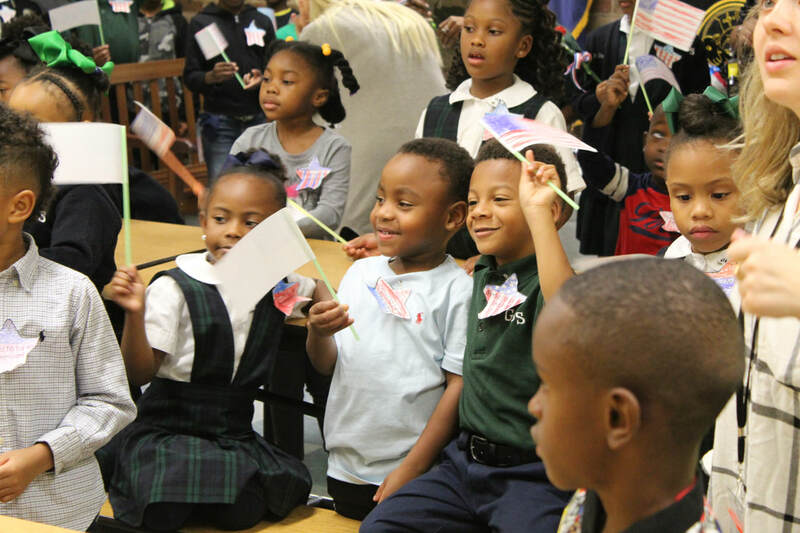 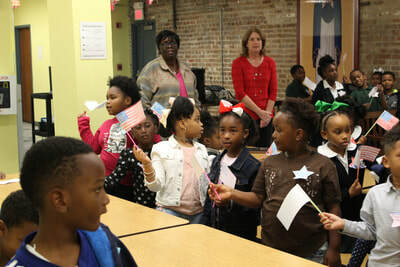 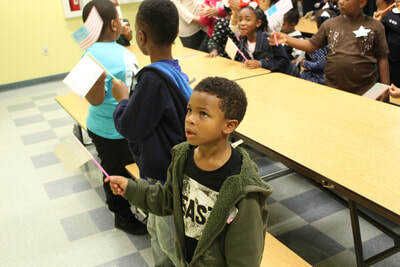 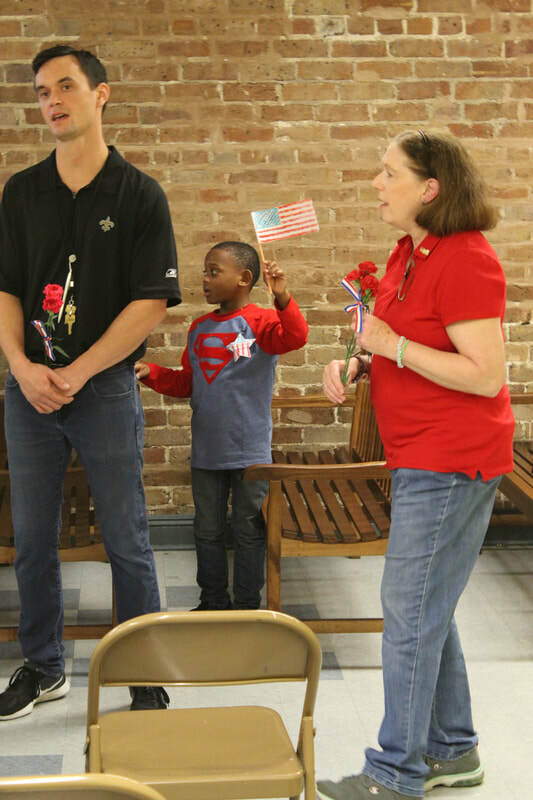 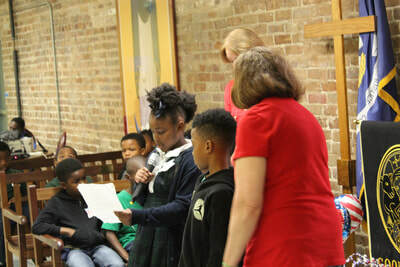 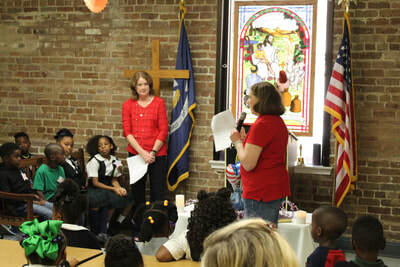 Veterans Day was again a celebration at the Good Shepherd School! 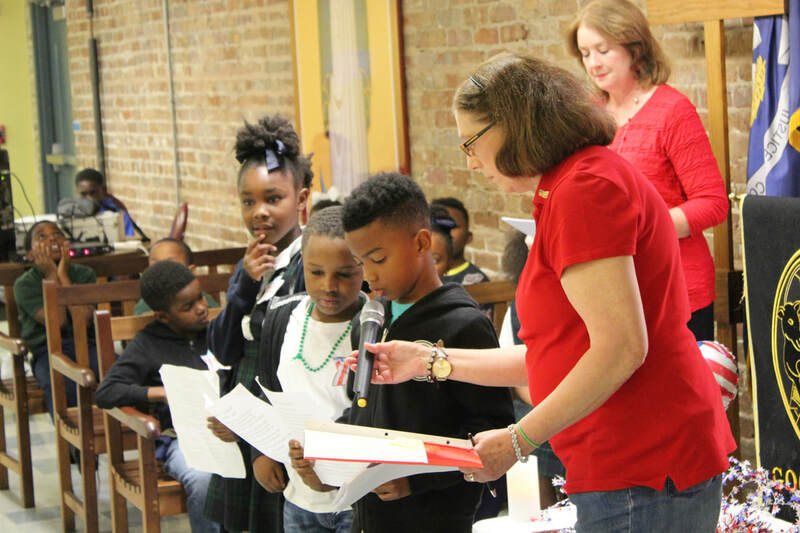 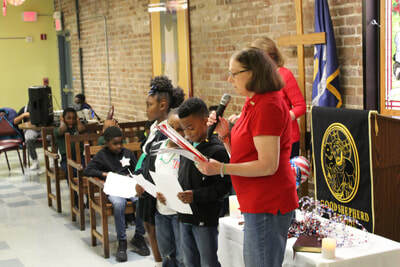 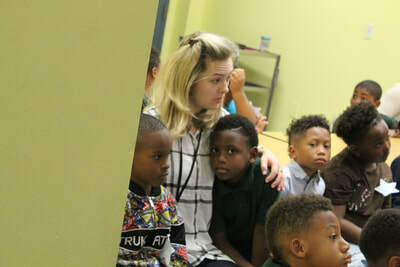 Coordinated and hosted by Ms. Lyn Green and Ms. Michelle Lucio, the kindergarten, 1st grade, and 2nd grade prayer service began with readings and an honor ceremony for the veterans in attendance. 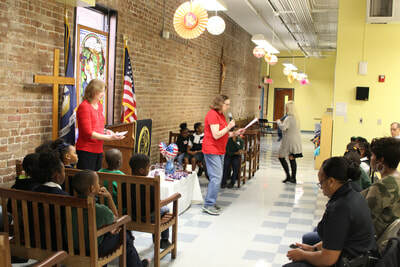 The morning concluded with the students and guests singing God Bless America as they waived their American flags.